Venice casino: the thrill of the game, in a unique setting. 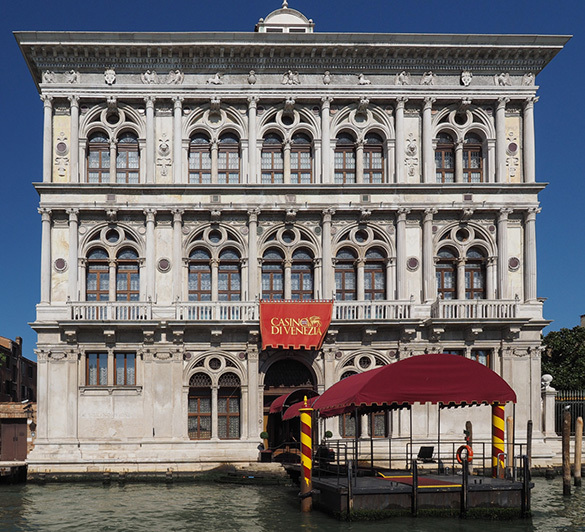 The Casino di Venezia was founded in 1638 and is recognized as the oldest casino in the world. The two locations of the Casino of Venice are Ca ‘ Vendramin Calergi, Renaissance palace overlooking the Grand Canal in the middle of town, residence of the Doges and last home of Richard Wagner, and Ca ‘ Noghera, a modern structure of over 5000 m ², close to Marco Polo airport, easily accessible by car from the hotel Domingo in less than 30 minutes. Roulette, Chemin de Fer, Black Jack, Poker, Texas Hold’em in addition to more than 600 slot machines…are just some of the most innovative games offered by the Casino. The pleasure of the challenge is enhanced by a rich entertainment program with concerts, events and promotions. Let yourself be carried away by the enchanting atmosphere of the Fenice. 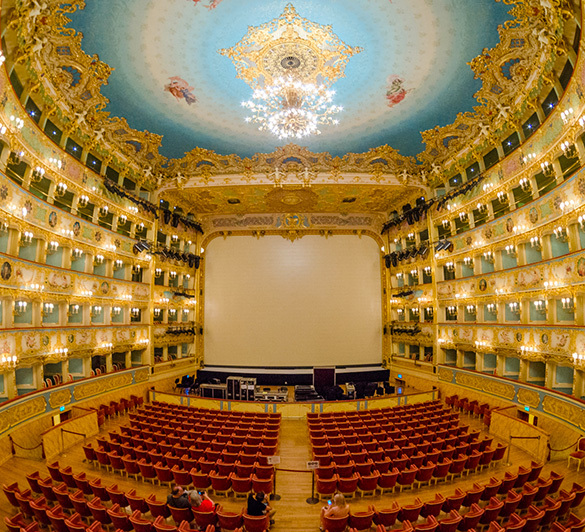 Just a few steps from San Marco, the theater is typically open to the public every day from 9.30 to 18.00. The visit between stucco and golds of the prestigious halls gives the opportunity to discover backstory and secrets of the theatre and its protagonists, tracing back its history from the origins to the present day. The theatre also hosts a permanent exhibition dedicated to Maria Callas and her years in Venice. And after visiting it during the day, why not dine in one of the typical Venetian “Bàcari” and then return to the theatre to enjoy one of the numerous symphonic and lyrical operas in calendar; such as la Traviata by Giuseppe Verdi, Puccini’s Madama Butterfly or hear to the artist Carmen Consoli accompanied by violin and cello. You are allowed to remain stunned in front of one of the magnificent dance performances that are proposed. As you can see the Theatre offers countless opportunities for entertainment in a lovely atmosphere. If you also want to try this emotion at least once in your life, ask at the reception how to buy tickets directly through us.